If your oil tank is more than 30 years old, it’s a good idea to speak with Poore’s about your replacement options. The aboveground heating oil storage tanks we install are built to exacting standards that make them virtually corrosion- and leak-proof, featuring double-wall construction that includes an outer tank of corrosion-resistant galvanized steel. Plus, new technology allows for remote monitoring to protect against the rare event of a leak and guarantees that you will always have a sufficient supply of heating oil on hand. You can also get long-term warranties to protect your investment. As with oil boilers and oil furnaces, periodic storage tank maintenance can help you ward off problems with your fuel storage system and extend its life. But eventually there will come a time when it makes sense to upgrade with a new oil tank installation. Note: Basement and outdoor oil tanks are required to have a working vent alarm, which prevents spills by letting the driver know when the tank is full. Contact us if you have questions about your vent alarm. 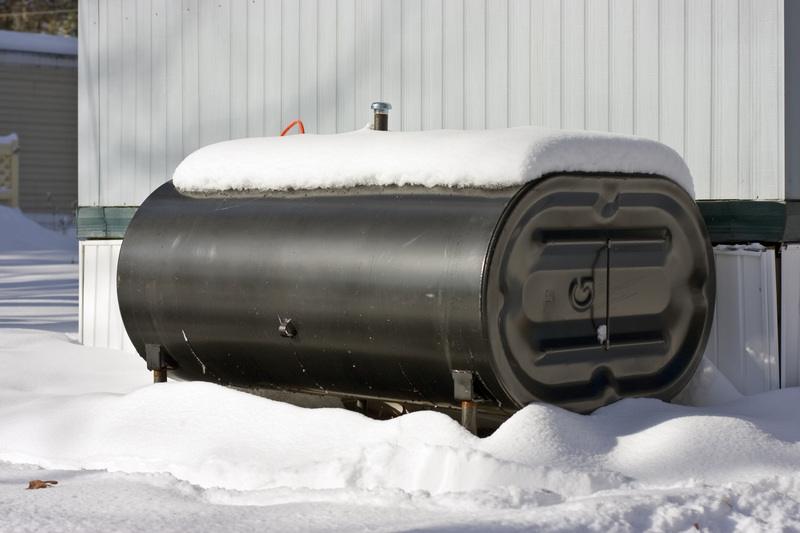 Today’s aboveground oil storage tanks provide peace of mind and convenience—in addition to all the other benefits of heating your home with oil! Contact us today to learn more about today’s oil storage tanks and get a FREE estimate.